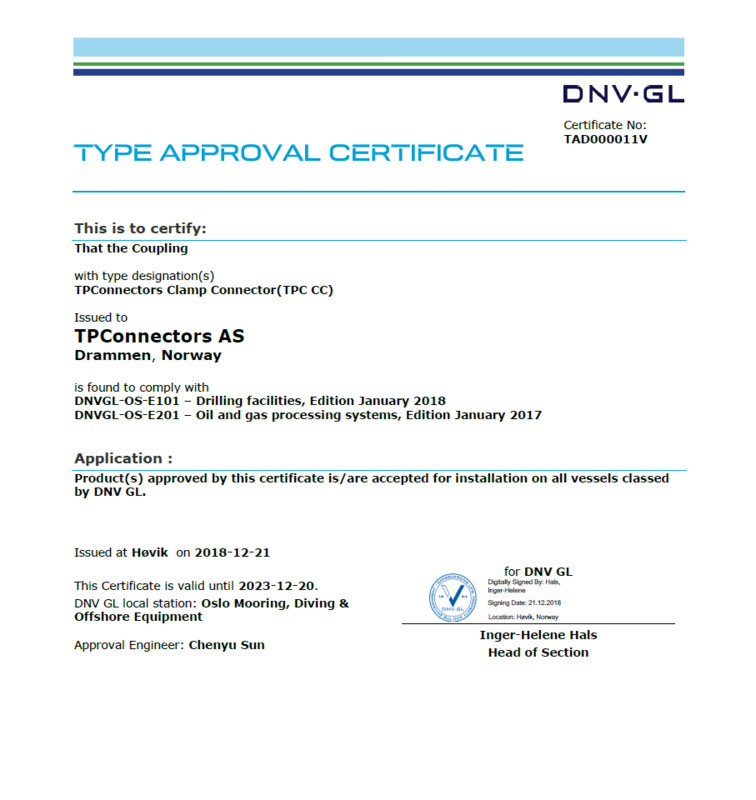 We are proud to announce that we finally got the type approval of our TPC Clamp Connector. 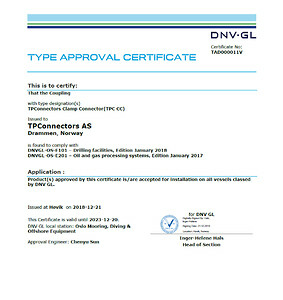 Requirements used as the basis for the Type Approval are: DNV GL rules for classification, DNV GL class guidelines and programs, DNV GL standards, International standards, country standards and Industry standards. The TPC Clamp Connector is also interchangeable with other brands listed in Equinors TR2000. 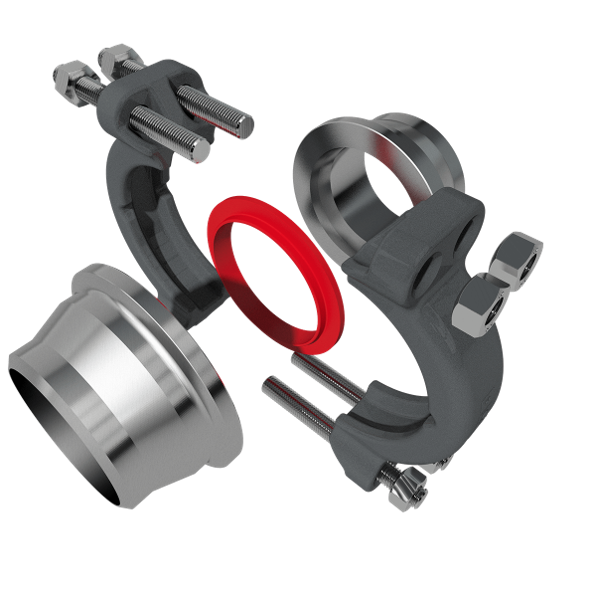 The advantages of clamp connectors compared with bolted flanges are; the small size and low weight, and the ease installation and assembly with only four bolts and a clamp assembly which can be rotated to the most convenient position for bolt pre-loading. 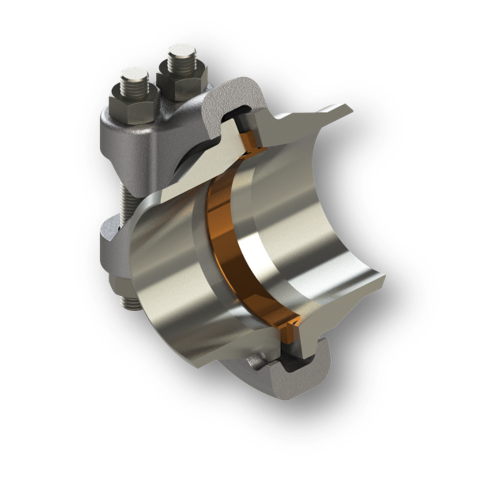 In the oil and gas industry, clamp connectors are often used in flowlines and other high pressure systems and where the compact design and small sealing diameter is of greatest advantage.